National Professional Social Work Month is celebrated each year in the month of March! This is a great opportunity for social workers across the country to turn the spotlight on their profession and highlig ht the important contributions they make to society. Our nation’s more than 680,000 social workers have amazing determination and talents, and confront some of the most challenging issues facing individuals, families, communities, and society. They forge solutions that help people reach their full potential. 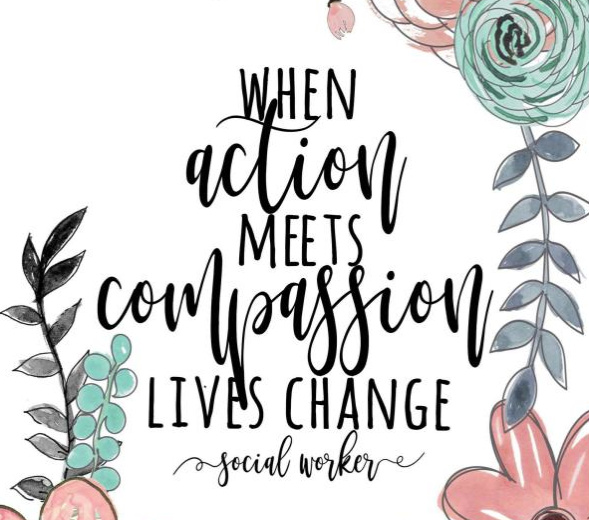 Social workers across the nation act as advocates, champions and leaders and make our nation a better place to live with the contributions they make every day to our society. For 2019’s National Social Work Month, many social workers ar e using the word “Elevate” as their logo. Elevate means to lift-up and improve morality and intellectually, which social workers do every day in their work. I have a cousin named Kathryn who loves being a social worker. She currently works for an agency that helps the elderly deal with the financial burdens that they face, and to help them organize their lives as they move to nursing homes or lose a loved one. It is a very demanding job, but Kathryn loves helping those that are in need. She is hoping someday to obtain a job that helps people with disabilities and their families. There are plenty of activities you can take part in to commemorate the month in honor of our social workers, and educate the public about the often-unnoticed ways that social workers bring great good to our society. We thank the determined and inspiring social workers of the US who make such wonderful contributions to the lives of many.